Colwell Bay is situated inbetween the famous Needle rock and lighthouse and the port of Yarmouth. With views across the solent to Hurst Castle and Fort Albert, Colwell Bay is popular with families, holidaymakers, and locals who visit the gently shelving beach year in, year out; for either the traditional game of beach cricket or the regular banter with the locals. A perfect place to relax and unwind in the summer months. Colwell bay has a unique friendly appeal, just busy enough in the summer months yet not overcrowded like some of the bigger beaches on the southern side of the Isle of Wight. Colwell Bay is not only a winner of the Quality Coast Award but has also been successful in displaying a Water Quality award. 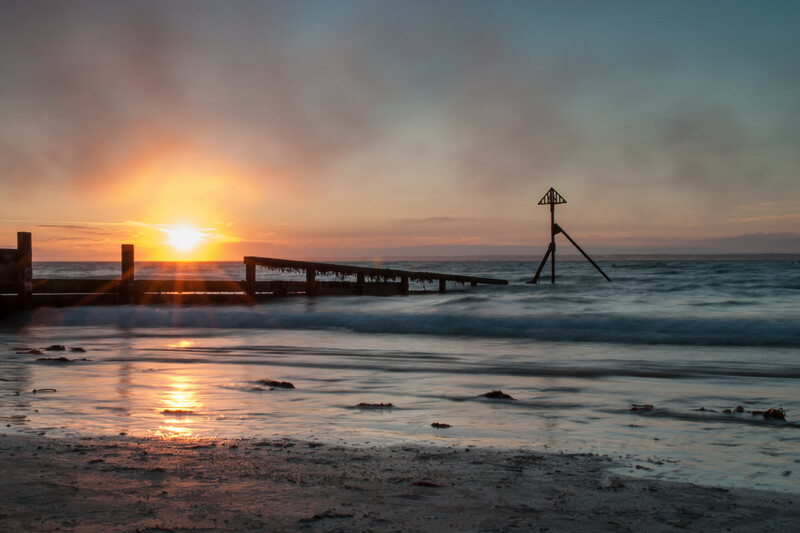 The aim of this web site is to introduce you to Colwell Bay and hopefully point you in the direction of websites and attractions for your visit to the beautiful Isle of Wight. Attractions such as the Needles Pleasure Park, and Blackgang Chine are only a short drive away from Colwell Bay, whilst boat trips to Hurst Castle and the Needles rock and lighthouse are available from the port of Yarmouth. As with all web sites please double check all information contained within this site with official web-sites and local operators before travelling.